Please find >> here << my résumé. Co-Founder of the FLuid dynamics, Optimization and control, Thermic Transfert and Engineering (FLOTTE) group. PhD Thesis on the subject "Coherent structures in Fluid Mechanics, and Human-Computer interface for SciViz" in the LIMSI/CNRS laboratory, at Paris-Sud University. Lecturer in Mathematics and Mechanical Engineering, School of Engineering and the Built Environment, Birmingham City Univ. Post Doctoral Research Associate, Department of Mathematics, Florida State Univ. Master of Fluid Mechanics and Dynamical system Theory (Paris-Sud Univ.) with honors. Training course on "Spectral approach for solving high dof equations", LIMSI/CNRS~Univ. of Florida,Gainesville FL USA. Maitrise of Fluid Mechanics and Dynamical system Theory (Paris-Sud Univ.) with honors. 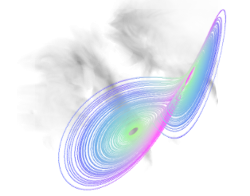 Training course on "Chaos Theory", "Instabilities" and "Aerodynamsim", LIMSI/CNRS.